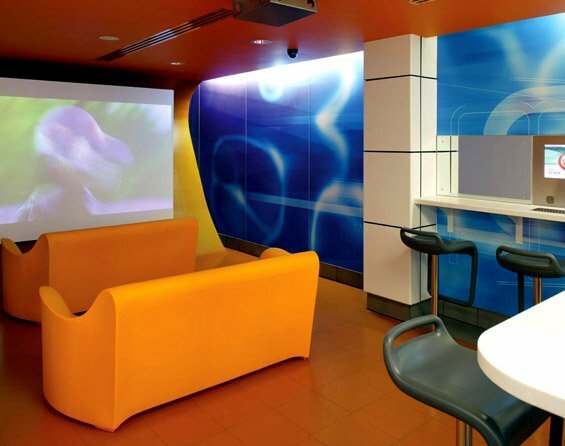 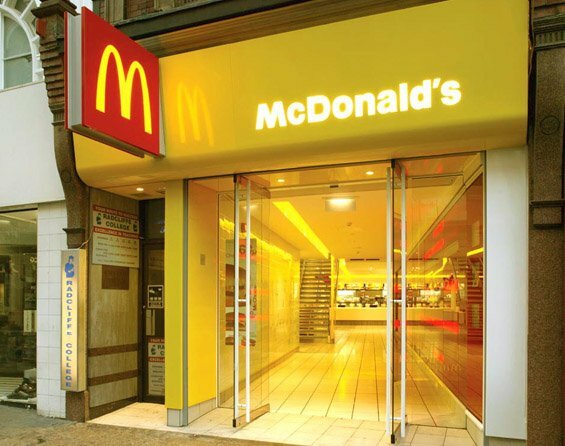 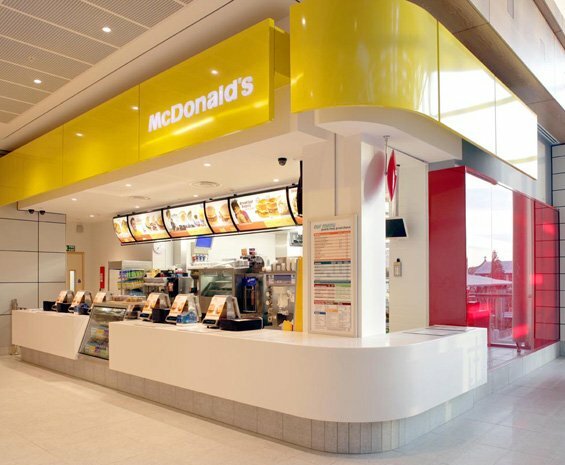 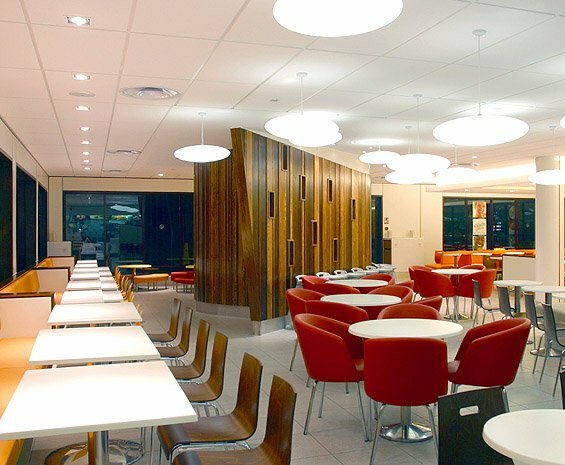 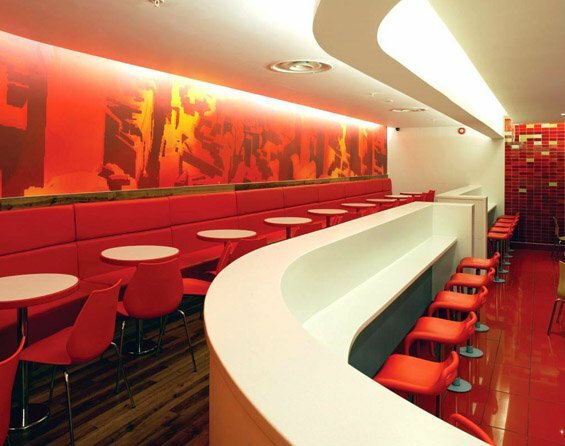 London based design firm SHH have produced some contemporary interiors for various McDonald’s locations around England. 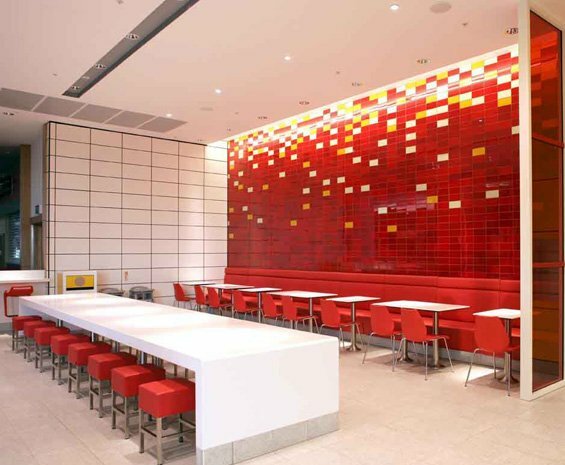 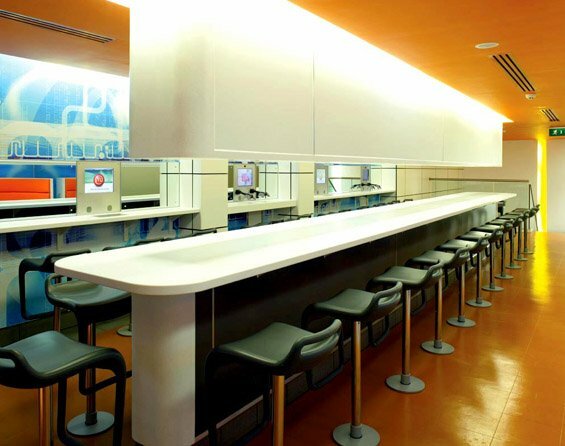 Over the past few years, European McDonald’s restaurants have been updating their interiors to a more modern/contemporary design, and it’s interesting to see the results because everyone around the world can relate to what a McDonald’s usually looks like. 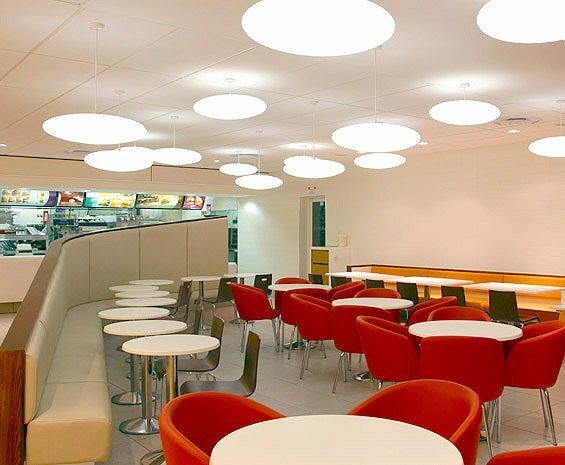 In the new interiors, the typical (and uncomfortable) fixed plastic seating is gone, and instead we’re seeing upholstered banquettes, wood tables, and hanging lamps.